The Detroit City Council approved a "Bullet Bill" gun control resolution Wednesday with a unanimous vote. As part of a proposed Wayne County "Bullet Bill" ordinance, additional county taxes would be imposed on the purchase of ammunition with revenue going to assist victims of gun violence and educational programs with a focus on conflict resolution, administrative costs. "It has to stop," said Reggie Reg Davis. "We must stop this. We can't continue to be a killing field." Davis worked closely with Detroit City Council member Andre Spivey, building a coalition. "It's a start but we've got a long way to go," Spivey said. Spivey sponsored the ordinance that would require mental health background checks on those looking to buy ammunition and it would also impose additional county taxes on ammo. Davis and Spivey hope to make their legislation a federal law, noting that they’re not focused on regulating firearms. 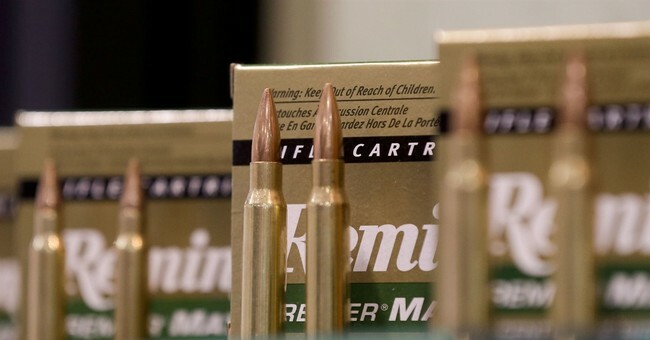 Focusing on ammunition leaves more room for compromise. No, it’s still an attack on our constitutional rights. If the Protection Of Lawful Commerce In Arms Act weren’t passed in 2005, no doubt the firearms industry would have been sued out of existence. This is what liberals do regarding gun rights; they will find any crack and crevice to exploit to move closer to what they really want: gun confiscation and the destruction of the Second Amendment. This isn’t new. California has new regulationsconcerning the purchasing and storage of ammunition, including background checks. Democrats on the Hill want background checksfor ammunition and with them now in control in the House, expect more of this insanity to be peddled before suffering a legislative death in the Senate. In New York, they’re floating the idea of gun permit applicants presentinga social media historyas part of the process. And let’s not forget that Vermont and Florida have increased the age to limit all firearms, including long guns, to 21. The assault on gun rights has been aggressive. The anti-gun movement has focused on state-level pieces of legislation, hence why it’s a bit less noisy; the lack of local reporting increases the chances that these pushes go under the radar. Still, the fight continues. We cannot afford to fall asleep at the switch.